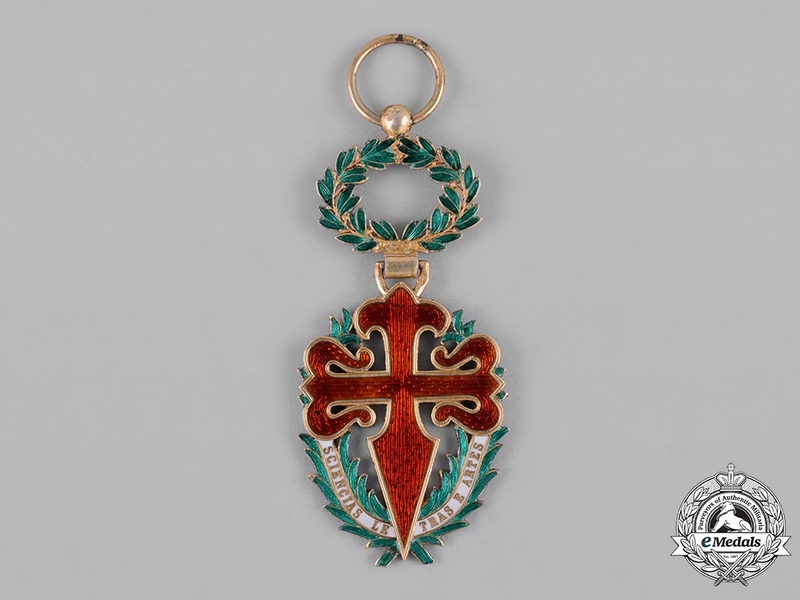 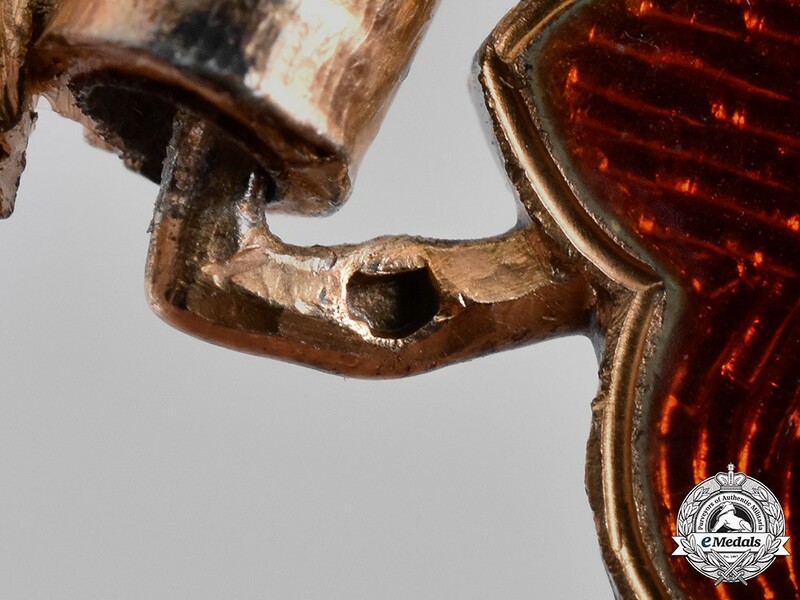 In silver with red, white and green enamels, French-made, hallmarked with a boar's head (denoting French manufacture of 900 silver, post 1838) on the reverse on the integral suspension, measuring 31.3 mm (w) x 68.5 mm (h) inclusive of its wreath and laterally-pierced ball suspension, intact enamels, original ribbon, extremely fine. 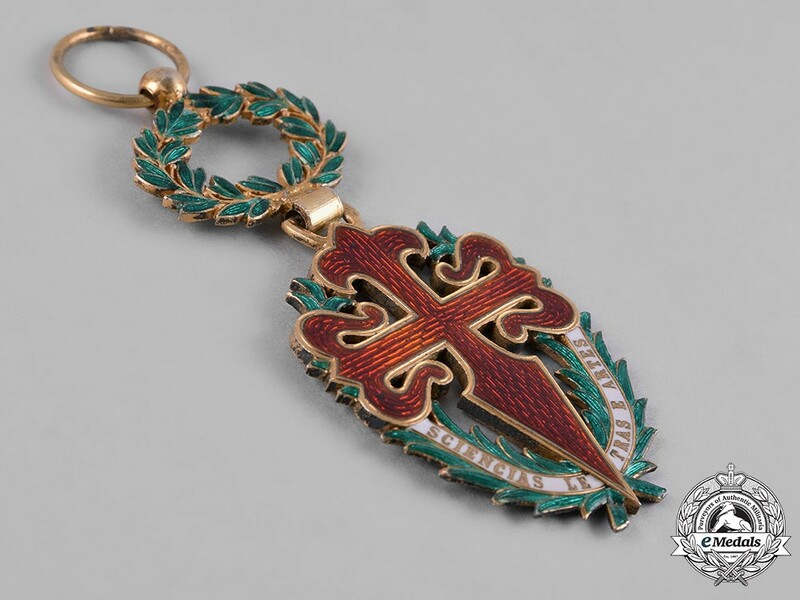 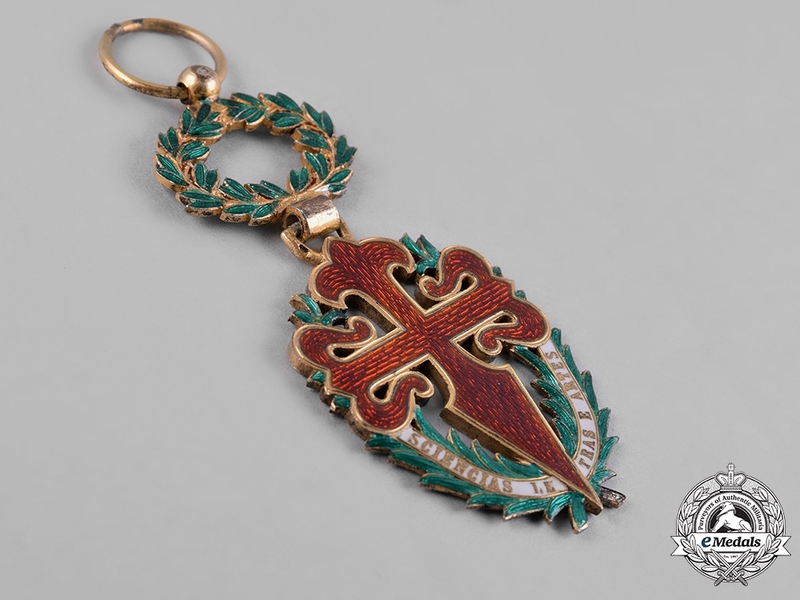 Footnote: The Military Order of St. James of the Sword was instituted in 1834 as a secular order and discontinued in 1910, when the Portuguese monarchy ended. At this point, the new Republic of Portugal abolished all the Orders, except the Order of the Tower and Sword. However, in 1917, at the end of the First World War, some of these Orders were re-established as mere Orders of Merit, to reward outstanding services to the state, the office of Grand Master belonging to the Head of State - the President of the Republic. 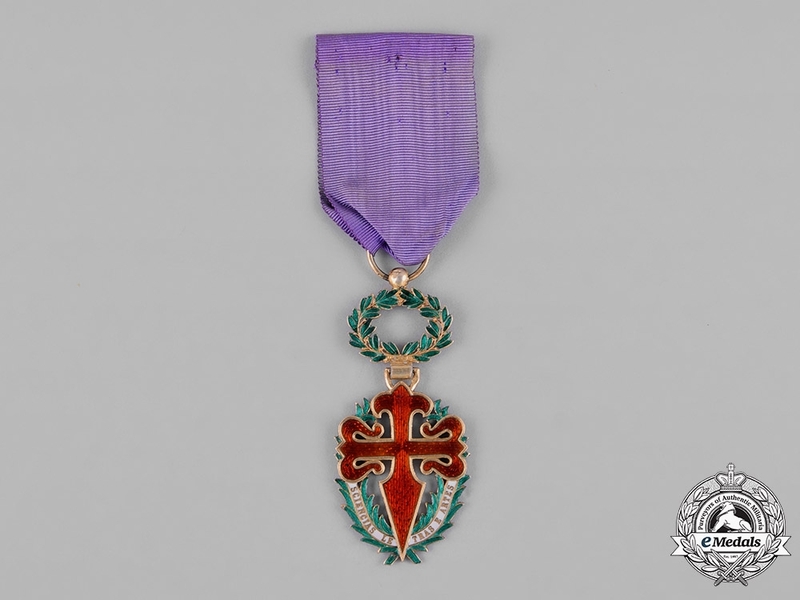 The Military Order of St. James, together with the other Portuguese Orders of Merit, had its statutes revised on several occasions, during the First Republic (1910-1926), then in 1962, and again in 1986. It is conferred to Portuguese and foreigners for exceptional and outstanding merits in literature, sciences or the arts, in six grades: Grand Collar, Grand Cross, Grand Officer, Commander, Officer and Knight, in Civil and Military Divisions.